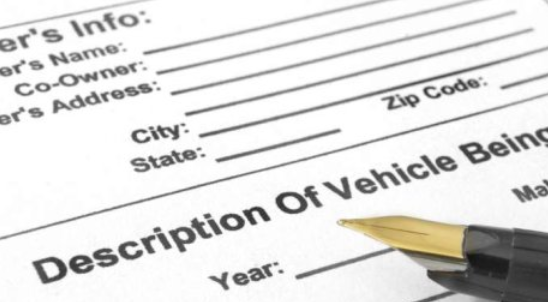 In Kansas, when you buy a car, you must get paperwork from the seller. This paperwork includes the vehicle title and odometer reading. Once you get all the required paperwork, you must then register and title your car with Kansas Department of Revenue (DOR). You will be required to show them those paperwork and proof of insurance before processing your application. If you buy a car from a dealer, they will process the required paperwork on your behalf. But when you buy it from a private seller, you must process the required paperwork yourself. You must get the required paperwork from the seller to help you register and title your car. The odometer status if the vehicle is 10 years old or less or the vehicle is a truck registered below 20M for tax purposes. NOTE: The vehicle title does not need to be notarized. A completed Form TR-39a (Electronic Title Sales Agreement). If the vehicle title is missing, ask the seller to apply for a duplicate copy before selling the car to you. Don’t accept the vehicle if it doesn’t have a title. The Affidavit of Purchase Price (Form TR-11). Invoice from the dealer with the purchase price from an out-of-state dealer. A Statement of Retail Sales Tax Paid by a dealer in Kansas. NOTE: If the car has a title registered in another state, you will also need to carry out motor vehicle examination with the Kansas inspection station. This is an inspection exercise to verify vehicle inspection number (VIN). Proof of a motor vehicle examination, if you bought the car from another state. Payment for taxes and fees. Sales tax, if you had not paid it. Registration fee, which varies by county. You will be issued with a new vehicle license plate after submitting the required documents and fees. Carefully examining the vehicle yourself before purchase. Requesting the vehicle’s title history. Hiring a qualified mechanic to inspect the vehicle before purchase. Getting a vehicle history report for the vehicle that you are purchasing. This information from a Vehicle History Report can help you confirm what the seller is telling you about the vehicle they are selling.